The mission of the Valley Forge Elementary School Parent Teacher Organization (VFES PTO) is to create opportunities for parent and family involvement in VFES, while supporting the efforts of our teachers to educate our children. Every family that has a child at VFES is automatically part of the PTO. There is no cost to join! The VFES PTO is a volunteer-run 501(c)(3) organization, and our volunteers provide many great programs and events for our students. In addition to the PTO Board, we have over 80 chairperson positions to fill each year, after school clubs, a Publishing Center that published almost 900 student books in 2017, and numerous student social events. The VFES PTO has plenty of opportunities for everyone – from the stay-at-home parent to the full-time work outside of the home parent – to get involved. 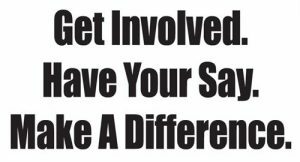 Read the PTO FAQ or visit the volunteer page to sign up. Everyone has a voice with the PTO and we’re always looking for innovative ways to motivate volunteers, raise funds or host social events to bring families together. Join us at the next PTO meeting, or contact us with your comments and suggestions. If you don’t have time to volunteer, please support our school social events and fundraisers, including the Book Fair, the Spring Fair, and Shop & Dine Days. These are popular events that help us bring in a substantial amount of funds for VFES. Proceeds support educational programs and equipment for the school. In order to maximize dollars given to the PTO, you can also give a direct donation, which is 100% tax deductible. We provide a large amount of financial assistance to VFES and can’t do it running fundraisers alone.